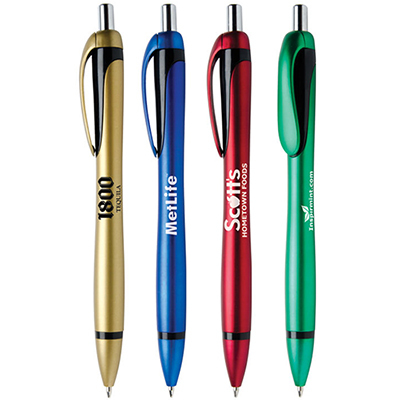 Make your brand the ideal choice with the imprinted Veracruz® Metallic ballpoint Pen! 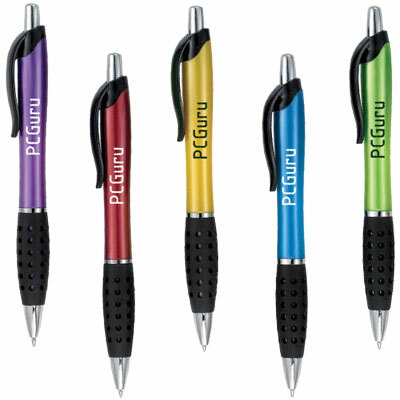 Brushed metallic jewel tones with glossy black accents. 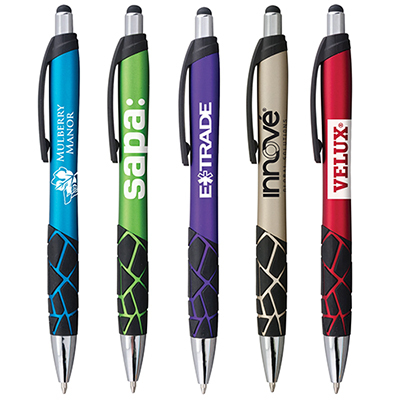 The imprinted Veracruz® Metallic Pen will make your branding campaign a guaranteed success. It features a contemporary style combined with a jumbo hourglass shape. 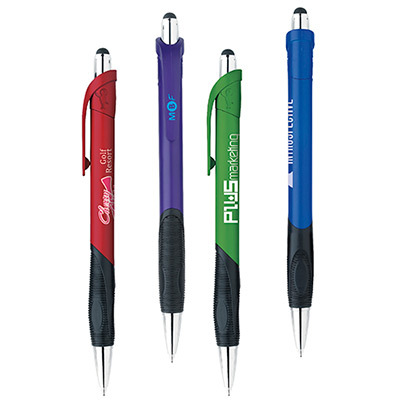 The brushed metallic jewel tones set off by glossy black accents makes it a style statement. 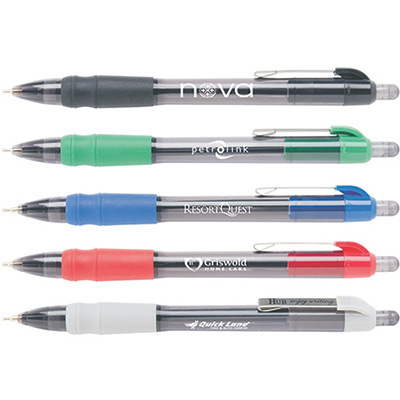 Imprint your brand logo and tagline in white or silver that will make heads turn. Book your order right now! Unique design provides ergonomic writing comfort!